The NHS still has a long way to go to improve the way it handles complaints, although there are signs of improvement, a survey suggests. 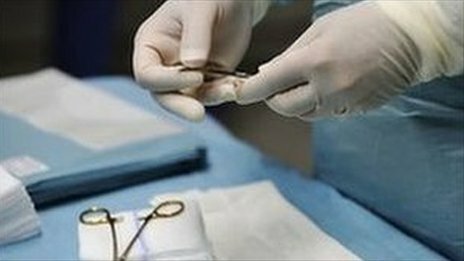 The NHS has been heavily criticised over its complaints system in the wake of the Stafford Hospital scandal. The poll of 4,000 people in the UK by Populus for consumer group Which? found just a quarter were happy with the way their complaint had been handled. But this was a rise from 16% two years ago. The survey showed more than half felt their complaint had been ignored – more than in other parts of the public sector – and 43% were “dissatisfied” with the outcome. But four in 10 who have had a problem reported not even complaining – although this was again a slight improvement on the picture two years ago. Improving complaints handling was one of the central themes of the public inquiry into the poor care at Stafford Hospital. ‘Simply unacceptable’ A government-commissioned inquiry into complaints last year – led by Labour MP Ann Clwyd – said too many patients found the current approach unresponsive and confusing. In response, hospitals were ordered to publish regular updates on complaints and make it clearer to patients what they had to do when they were unhappy with their care. While these measures applied to England only, ministers in Scotland and Wales are also making improvements. Many of these changes are only just bedding in, but Which? executive director Richard Lloyd said the survey showed the reforms were “beginning to have an effect” although more needed to be done. Health Minister Dr Dan Poulter agreed the poll was a “positive sign” that standards were improving in England. “We want a culture of openness in all our hospitals,” he added. But Katherine Rake, chief executive of Healthwatch England, said: “It is simply unacceptable that more than half of people who make complaints still feel like they are being ignored. “If the health and social care system is serious about driving patient-centred improvement then the complaints system needs to be radically simplified.” Earlier this year, the patient watchdog produced a report showing thatmore than 70 organisations were involved in complaints handling in the NHS and social care systems. Have you had recent cause to register a complaint over NHS treatment? How was the complaint handled? You can email your experiences to haveyoursay@bbc.co.uk, using the subject line ‘NHS complaints’.